1. If you have an "old" gift certificate from our previous system that was given as a "loyalty" reward, PLEASE use these by end of July 2017. 2. Looks like this example but would be $20.00 value or less if you used a part of it already. month BOM program. Each month is $20. For the first 5 months you'll construct 12 of the same blocks. Months 6 & 7 you'll construct sashing rows. Month 8 is "put it all together". You can have these shipped too! Shipping is $6.50 per month. Blocks will be available after the 1st of each month (your first month is whenever you sign up). They need to be picked up by the 15th of the month. If we are shipping your kit, we will ship between 1st-5th of the month. After August 1, 2017 you will be able to get as many months as you'd like at a time (can buy all 8). Backing will be 25% off if you buy with either month 1 or 2. If you buy backing later than that it will be 15% off. 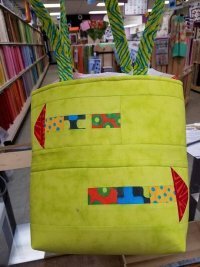 Backing can ship with a kit for no additional cost. Each student will get a free travel style sewing kit, and supplies for the project. We will have snacks to as well. We also have some sewing machines they can use if they do not have one. *this session is currently FULL but we are taking names for a waiting list to do a second date. Call to get on the list. * We have openings in this session. We will consider younger than 7th grade if they have sewing experience! Pre-registration required. Call or stop in to register! 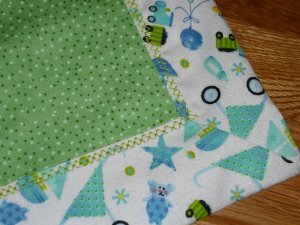 We have 4 styles of baby blankets to choose from. These are receiving blanket size. It is best to get fabric ahead of time to pre-wash if needed for you pattern choice. If time allows we will make a bandanna style bib. Row by Row 2017 is underway! Each participating shop offers 1 free pattern to customers who visit the shop. 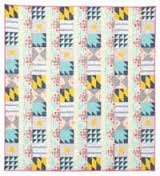 Complete a quilt using at least 8 different rows form 8 participating shops. 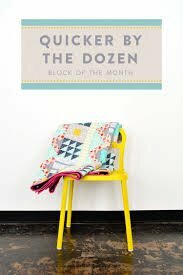 Be the first to bring in a completed quilt to a shop to WIN a bundle of 25- fat 1/4's. Get a bonus prize for using that shop's row in your quilt. 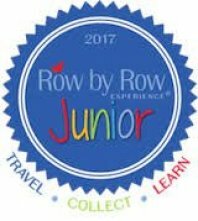 NEW this year : Row by Row Junior! Kid's age 6-14 who visit participating shops can get a free Row by Row Junior pattern. There are a total of 5 patterns to collect. We are releasing our Junior patterns one per week for the first 5 weeks. Check our calendar on our website for dates. Click link to go to calendar. After July 26th all 5 Junior rows will be available to choose from. 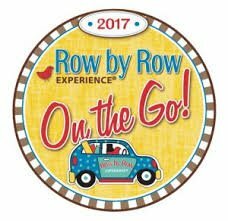 Kid's who complete a row can bring it to a participating Row by Row Junior shop and the first 5 to do so will receive a ribbon! We also have kits of our row and our junior rows available! Don't forget our fabric license plates too! Top picture is this year's Row. 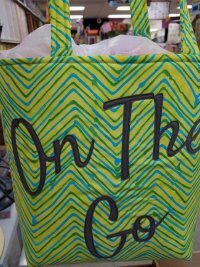 We also have a fun tote bag featuring our laser cut, pre-fused applique lettering! Last, but by no means least....Don't forget to follow our Facebook page! We are having special promotions that only show up there! Mega Monday: This will be deals on Minkey type fabrics or wideback fabric. This will not be every Monday, but you'll have to check to see! Tip Tuesdays: We post a video tip for you! What's NEW Wednesday: This will be a photo gallery or a slideshow of NEW products! Throwback Thursday: We will feature a kit that is an "oldie but goodie" on SALE for that week (until the following Thursday) at 40% OFF! Facebook Friday: We post a special that is only good for that Friday! It might be a sale or a freebie with purchase or anything we decide! Special Saturday: This will be an occasional special on a Saturday- could be anything! Will not be every Saturday!